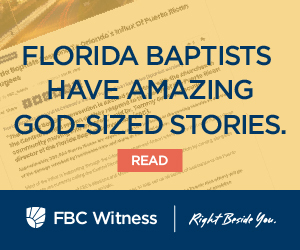 The Florida Baptist Convention team is committed to coming right beside Florida Baptist churches and pastors to reach our state for Jesus Christ to the glory of God the Father. Contact your Regional Catalyst based on where you live. Fill out our Contact form and someone will assist you. The Florida Baptist Convention team is committed to journeying alongside.